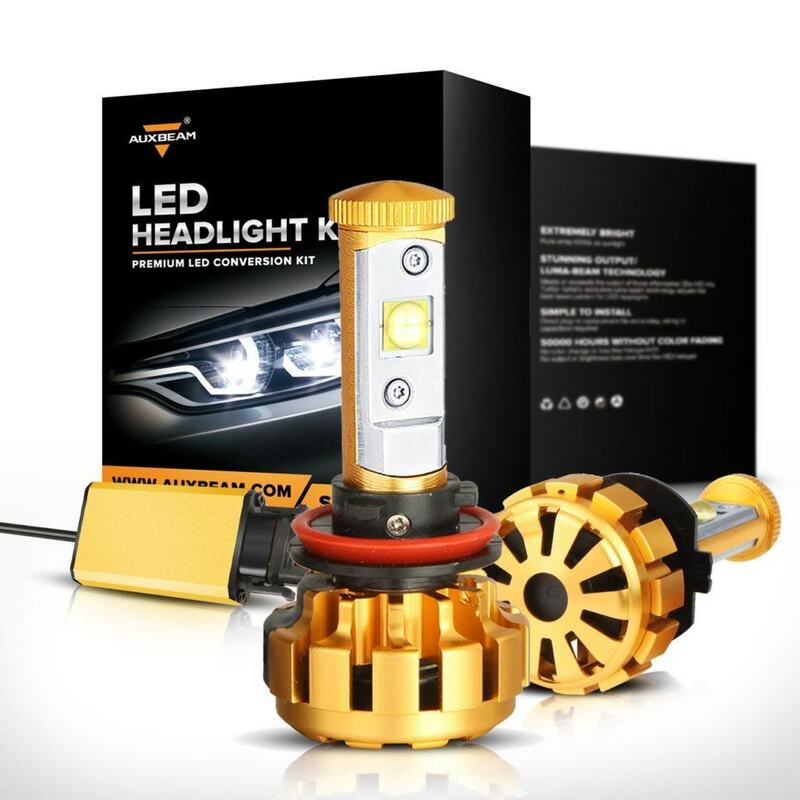 One of the premier manufacturers of LED headlights, Auxbeam are well-known for superior quality products. One of the newest additions to their fabulous range is the F-16 headlamp and it has got a lot of people very excited. 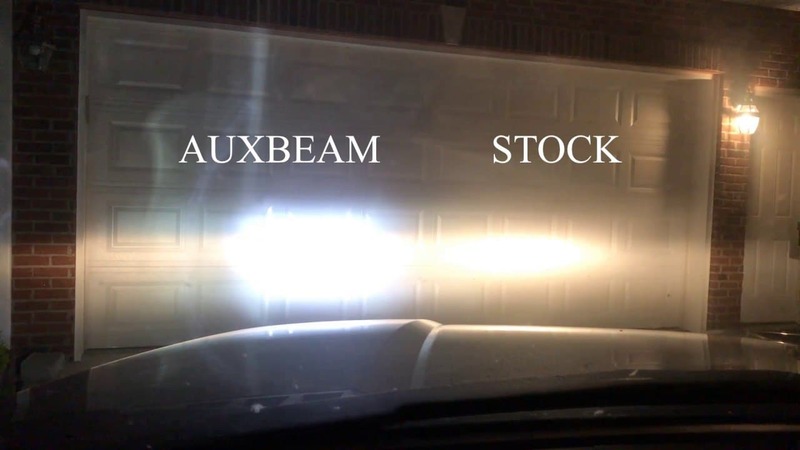 With this Auxbeam review, we take a closer look to bring you the only Auxbeam LED Kit review you will need when deciding if the F16’s are for you. Want To See A Complete Guide? So, Here's the Bottom Line. It goes without saying that the ability to see clearly in bad weather or at night when driving is essential. 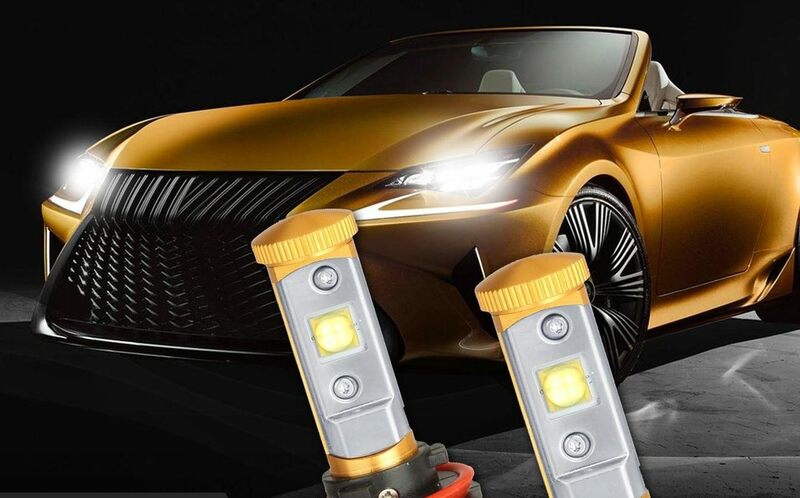 With this set of lights, the manufacturers have made every effort possible to provide this and help you see all of the road in front of you with clear vision. The first thing to look at when you open the box up is what you get for your money! Included with the kit comes 2 9005 LED bulbs and 2 constant current CANBUS drivers. Each bulb has 30 watts of power behind it to give a very strong 60 watts combined along with a combined luminous flux of 6000lm. One superb specification this product boasts is the world-famous CREE chips. These chips are well-known for being the best quality you can get and allow for instant light-up when in use! Able to fit both 12V and 24V vehicles, they are easy to fit into most cars out there. Other great technical features include a built-in turbo fan to provide extra cooling protection and a high-grade fan shield. This conversion pack is for applying to your fog lights and main car lights to give a great flexibility of use. What Makes This LED Kit Special? If you are thinking of buying this product as a replacement for your current ones, then you may be wondering if there is anything that makes it special? This is one of the factors this Auxbeam review aims to investigate. Many people love the F16 name attached to these, with the natural fighter jet association it brings. When you take a better look at them out of the box, you won’t be disappointed! Made from aircraft grade luxury gold aluminum, they look amazing. For a headlight, they really have a glamorous look and make you feel like you are in Top Gun or the USAF! This 16 series is also fully waterproof with an IP68 water and dust seal. This means you can be sure it will continue to work even when the rain and snow is driving down on you. Compared to other choices on the market, these special features make it unique. When you look at other similar products out there, then these stack up favorably. It costs $49.99 currently on Amazon which is pretty amazing for what you get. If you can grab it on sale, then it is an even better deal! Other kits such as the OPT7 Fluxbeam can cost nearer the $90 mark for example which shows what great value this is with the quality you get. Which vehicles can it be installed in? One of the great things about this system is that it will fit easily into most vehicles. The integrated, all-in-one design makes slotting them in a pretty quick job which can be done in 15-20 minutes. Don’t use these if you do not have Projector style fittings though! Any vehicles without these will blind oncoming traffic so cannot use the F16’s. This pack comes in a 9005 HB3 H10 9145 size. Other sizes are also available in the series from 9006 HB4 to 9007 and 9003 H4. The main thing that stands out is the sharp light emitted that covers the road without any dark or foggy spots. This solid beam pattern and clear light makes seeing road signs easy as well as helping to keep you on the road. A very well-designed 360-degree beam angle is also fantastic for being able to see everything that is going on around you when you are driving with no blind spots. With the 6000K color temperature, the composition of the light they throw out is pure and bright without being dazzling to other road users. There is a really good balance between you being able to see far without distracting other drivers. As noted above, the LED lights and control drivers themselves are easy to fit, with minimal experience or equipment needed. The control drivers have a built-in CANBUS also which will decode any errors and helps make them a breeze to use. All the above features make this a very user-friendly pack to buy. The quality and design is superb as you would expect and the performance the LED lights give themselves is outstanding, certainly better than halogen lamps. The easy fit saves you time and stress while the ultra-bright light they throw out will keep you safer when driving. Of course, nothing in life is perfect and there are a few negatives to these LED lights. The first is that they are not suitable for any vehicles without Projector style casings as previously noted. If you buy them without having this type of fitting in your vehicle, you will dazzle everyone you come across when driving with them on! The second drawback is that the decoder function of the built-in CANBUS on the drivers does not work with all vehicles such as a Mini Cooper. This is definitely something to check out before you buy so you know what you are driving is compatible with it. 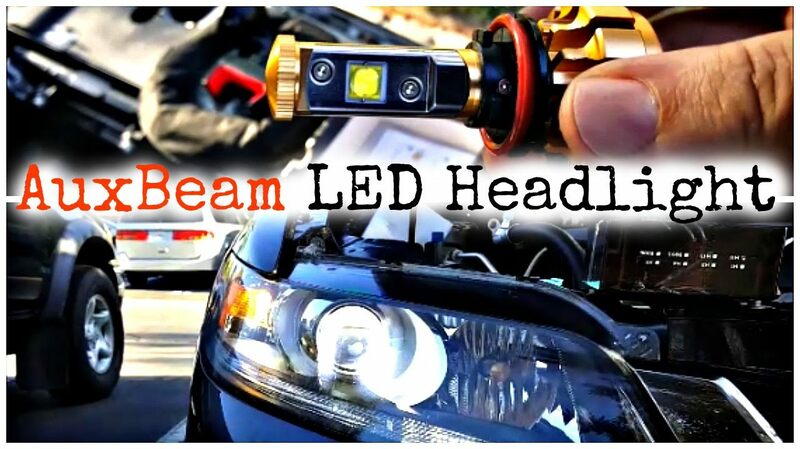 I took the time to write this review because each kit on the list of the best led headlights (click here), deserves a deeper explanation. With a deeper understanding, you’ll ultimately have the ability to make a buying a decision that you won’t regret. 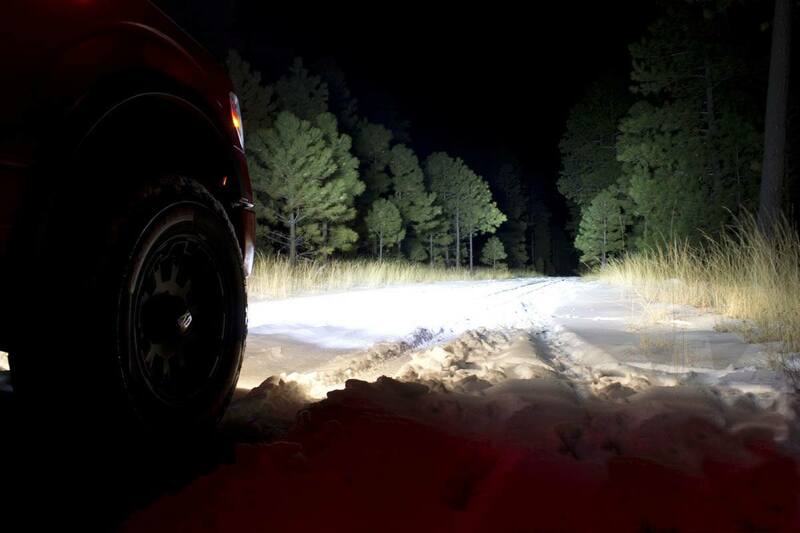 The bottom line is that the F16 LED lights are a top-notch product to buy. They boast cutting-edge design and features to give a product that is one of the best out there. When you add in the fabulous cost and ease of installation with the performance they give, then they are simply amazing as this Auxbeam review shows.